Data Masking, Test Data, and Management Software Get Profiling, Subsetting, SDKs, etc. That’s why IRI continues to invest heavily in the development of masking technologies in both our fit-for-purpose data protection products and total data management platform. Our users need to be able to mask, clean, and unify data where it lives. Innovative Routines International (IRI), The CoSort Company, has announced new versions of its Data Protector suite tools -- FieldShield, CellShield, and RowGen -- and new features in its data management platform -- Voracity -- that improve enterprise data security and quality for SMBs and cost-conscious enterprise CISOs. The upgrades will be available at low or no cost to existing users depending on their support level. Voracity subscribers can automatically make use of all of the new features, since the platform includes support for all IRI Data Protector and Data Manager suite products. Founded in 1978, IRI develops high-performance software for managing and protecting data in: legacy migration, DW/BI, and devop environments. 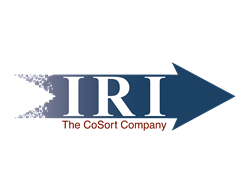 IRI products include: Voracity (data discovery, integration, migration, governance, and analytics); CoSort (transformation and reporting); FACT (Fast Extract for VLDBs); NextForm (data and DB conversion); FieldShield and CellShield (data masking), and RowGen (test data synthesis).